A Classics graduate of the University of Oxford, Dr Swift’s research interests lie in Greek tragedy, in particular on the relationship between the tragic chorus and other types of choral song performed in Greek society. Originally from Fife, Dr Allan studied Classics at Edinburgh and taught at Harvard before moving to the University of Oxford. He is particularly interested in archaic and classical Greek tragedy and epic. This entry was posted in CANI4Schools: Events and Resources, Previous Events. To an audience that had braved the elements and dodged the traffic, the Classical Association in Northern Ireland was proud to present Dr Martijn Icks and his talk ‘Keeping Up Appearances’: Roman Emperors on Display in the Bell Theatre at Queen’s University, Belfast on 3rd December 2015. Starting with the holy invisibility of the Forbidden City of Ming China and the hyper-visibility of today’s leaders, Dr Icks took those in attendance on a journey through the public portrait of the Roman Emperors of the principate. Through coins, statues, busts and monuments, the seemingly omnipresent emperors sought and were indeed demanded to be a living, honourable embodiment of the Roman Empire; those who failed in that embodiment were to be ridiculed, to be infames. The affable, “all things to all men” Augustus; the too private Tiberius, opening himself to accusations of the worst levels of vice; the limping, stuttering Claudius hidden away by his family and then over-indulgent in blood sports; the embarrassing but dangerous spectacle that was Nero; the triumphant Titus and Trajan; the invisible Big Brother Domitian and the bookish Marcus Aurelius, ridiculed for not being seen to enjoy the games, instead attending to work. Having forewarned that this subject was far larger than 50 mins would allow, Dr Icks finished up by teasing the listeners with a brief look at where the imperial portrait went from the embarrassing spectacles, conquering imperators, paranoid tyrants and “first among equals” of the principate – the aloof Lord and master chosen by the gods and then God and the increasingly invisible Byzantines, wrapped up in ceremony within their own version of the Forbidden City. Clearly, this is a subject that has much more to be investigated. Perhaps there will be a ‘Keeping Up Appearances’ Part 2 and 3? Over a few winter drinks afterwards, the audience certainly seemed to think so. This entry was posted in Previous Events. 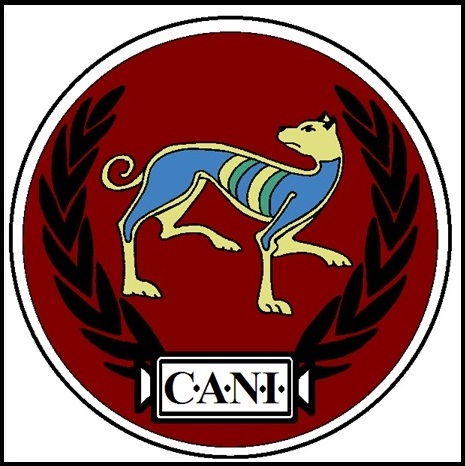 At this week’s first official CANI event of the 2015-2016 programme, Dr Daniëlle Slootjes of the University of Nijmegen (The Netherlands) spoke about “Ancient Rome in a Digital Age”. More and more, archaeologists are collaborating with computer experts to make three-dimensional digital reconstructions of ancient buildings or even complete cities, including Rome itself. Dr Slootjes, who is interested in crowd behaviour and crowd control in premodern cities such as Rome, Constantinople, Paris and London, explored how these 3D reconstructions may be combined with evidence from our literary sources to produce valuable insights. In particular, she wants to examine how ancient crowds moved at particular mass events, such as the triumphal entry of a victorious emperor or games in the Colosseum. The lecture was followed by a lively Q & A session. All in all, it seems the Classical Association in Northern Ireland is off to a good start! The Classical Association in Northern Ireland’s inaugural summer lecture on the ‘Coleraine Hoard’ attracted an enthusiastic crowd on a fine summer evening at Queen’s University. In a lavishly illustrated joint presentation, Drs Peter Crawford and Raoul McLaughlin took listeners through the history of the discovery of one of Ireland’s most enigmatic hoards of late Roman coinage and hack-silver. The peoples of Ireland and Britain were vividly evoked and the historic traffic of ideas, artefacts and culture between the islands carefully explained. With the very recent finds of Roman rings at Murlough in Dundrum Bay, Roman treasure in Ireland is hot news and the speakers expertly fielded splendid questions from the audience. The lecture is heading next to the home of the hoard and The Coleraine Historical Society and then on into schools in Northern Ireland. The fate of the hoard itself, now scattered in Belfast and London, prompted the admirable idea of calling for its repatriation in the Ulster Museum. “The old, overworked statement that, ‘The Romans never came to Ireland’ no longer represents a widely-held view. If the Irish could raid and trade in Britain, then the Romans could, and did, cross to Ireland. Archaeological finds, including a silver hoard unearthed by a farm labourer near Coleraine in 1854, have taken the discussion of Romano-Irish relations beyond just “trade and raid” into a consideration of more intricate and sophisticated social and political interactions. These include army recruitment, the movement of migrants and even Irish settlements on Roman land”. Information about teaching approaches, learning and support. Available resources include: course books, online information, downloadable workbooks and teaching materials.